Jane qualified from Cambridge University in 1993 and after 2 years in mixed practice in Surrey, she undertook an internship and residency in equine surgery at the Royal Veterinary College. During this time she gained RCVS Certificates in Veterinary Anaesthesia and Equine Surgery (Orthopaedics) and she was awarded the ECVS Diploma of Large Animal Surgery in 2000. After a brief spell as a Lecturer in Equine Surgery at the University of Copenhagen in Denmark, she joined Liphook Equine Hospital in 2000 as one of the surgical team and became a partner in 2006. 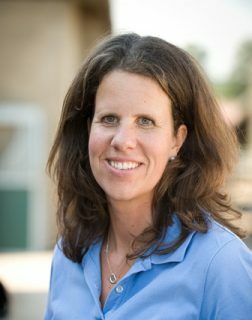 She is an RCVS and ECVS recognised Specialist in Equine Surgery. As well as surgery, she has a particular interest in magnetic resonance imaging and lameness diagnosis. She has been invited to lecture extensively on these subjects both in the UK and abroad. Jane has been an examiner and chief examiner for the RCVS Certificate in Equine Surgery and for the ECVS Diploma in Equine Surgery.